Accessing Foreign Markets, a Tribal Business Export Development Program Which Creates and Retains Jobs for Native American Indians builds on information gained from past exploration of potential international markets and proceeds to enter identified markets. CIMC provides Native American tribal businesses and tribal member businesses with basic and advanced export business tools and skills, and mentorship and guidance regarding entry into the best and most lucrative foreign markets. 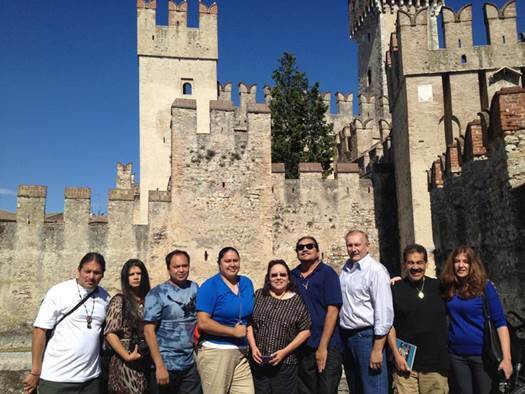 Tribal business owners learn how to effectively deal with international cultural differences in both social and business settings, develop a keen understanding of the global marketplace, and adapt to the rigors of foreign travel. CIMC collaborates with the Los Rios Community College District's Business and Economic Development Center and Center for International Trade Development to provide the necessary support, training, and programs. CIMC's certified Native American International Trade Specialists use their skills and expertise to aid the participating businesses in their efforts to access foreign markets.